In today’s world, we love having and making choices. Practically everywhere, we are presented with options: 64 crayons in a Crayola box; 12 assorted donuts from Krispy Kreme; even hundreds of cable channels to choose from! However, too much choice can overwhelm us and when that happens, we tend to shut down or shut out new information. 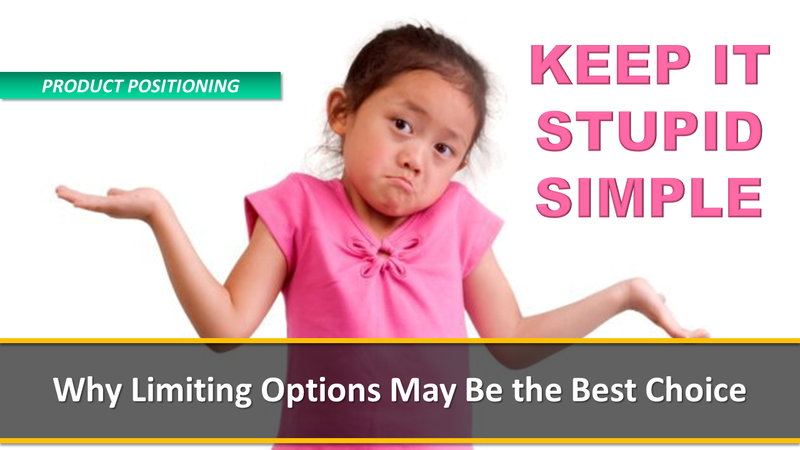 So how do we balance the right options without overwhelming people? We must Keep It Stupid Simple. In our point-of-sale world, we give our guests choices too…but typically, we do a terrible job of presenting them. While we may offer packages, memberships, special experiences, and VIP tours, we fail to present them in an effective way. Everybody who visits sees everything—regardless of their needs. Moreover, when we force our guests to choose from a list of 10, 15, or 20 options, they tend to shut down and purchase General Admission only. The names we give our products and experiences matter. When we name our products intuitively, it helps guests to more quickly understand what they do and to make the best decision. Use terms like ‘Best Value’ or ‘Total Experience’ to influence guests to purchase the products you want to sell the most. Applying a filter to a plethora of product offerings helps to pare down from what’s available to what’s appropriate. Airlines, hotels, and retailers have been using filters for years and some point-of-sale systems are beginning to offer online options that accomplish a similar function. As bad as it might sound, sometimes it’s okay to limit your options—or at least the ones that you offer onsite. Let’s say, for example, that you offer eight different special experiences but three of them have very low capacity. 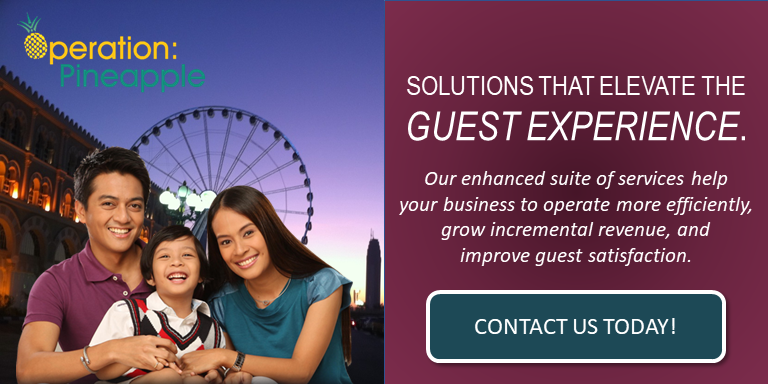 You might highlight the low capacity options to your members and frequently returning guest. Then, focus your remaining efforts on promoting your best sellers. Three to five options is always better than eight. Find out more about how Operation: Pineapple can help you to harness the power of choice and improve your product offerings. Contact us today for a FREE consultation. Touch the button below to get started.